Bringing a franchise to a new region brings a unique set of challenges from the need to educate potential customers to variations in costs. However, it also has the potential for great rewards, as you have the chance to bring a proven model to a new market. Rick Hascall became the area developer for Workout Anytime in the Pacific Northwest a year ago, making him the first franchisee in the region. Here's what he has learned. 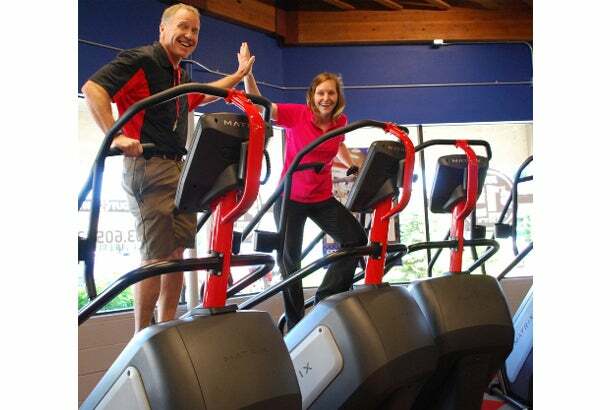 Franchise owned: Workout Anytime in Beaverton, Ore. I purchased the franchise rights and became the area developer for the Pacific NW about a year ago, but just got my first gym open last month. I have friends who walked down the path ahead of me and showed me the way. It looks like a user-friendly way of owning your own business and it gives you the peace of mind of knowing that you are going into a proven business model. This relieves a lot of the stress of opening your own business and not knowing if it is going to be successful or not. I am a retired police officer and then worked overseas for a few years doing diplomatic security for the State Department. My friends/co-workers opened up a Workout Anytime down in Florida and showed me what a successful business model it is. I knew that the Pacific NW had nothing like it, so I saw the opportunity to get involved and bring it out west. Tenant improvement costs were approximately $120,000, but these are widely variable depending on the real estate that you find and the lease agreement that you make. My costs are above industry standard. This was due in part to my lease agreement, but also due to the fact that it appears construction costs are just plain higher out west. I got most of my advice from friends and family as is most often the case in making important decisions that affect not just you but those around you. My research was done online and by visiting some of the Workout Anytime franchises and their owners as well as visiting and speaking with the corporate headquarters and the owners of the franchise itself. The time commitment necessary during the initial stages was more than I anticipated. Unless you can afford to hire people to market and advertise than it is up to you to go out there and let everyone know there’s something new in town and create that buzz that is needed to jump start your business. Also, for me there was the fact that this franchise is not known out here, so I didn’t have the advantage that many franchisees have of opening something well known like a Starbucks or Taco Bell. If you are going to be an owner/operator than by all means make sure it’s something that you have an interest in staying involved with and participating in on a daily basis. Owning a gym is wonderful if you like being in a gym. I also love seeing the people coming through the door inspired to improve themselves and then leaving with that contented aura about them knowing that they just have. Besides, you get to work out for free. I plan to expand operations and find investors who will want to open up Workout Anytime’s across the region. There is a real need in Oregon, Washington, and Idaho for value based small box neighborhood gyms that are convenient, accessible and affordable for the communities that they are located in.